Battle of Loos :: Great War Dundee - This is the story of the 30,490 men that left Dundee to fight in the First World War and of the people left at home. The Battle of Loos on September 25, 1915 was the largest land battle in British military history and resulted in terrible carnage. It was also where the first British use of poison gas was made. The British offensive was part of an attempt by the French to break through German defences in northern France. The attack was partially successful, with the village of Loos taken quickly and enemy fire trenches collapsing across a wide front. But the Germans were ready on the second day. When British artillery failed to destroy reinforced positions, enemy machine gunners mowed down advancing Allied infantry with withering fire. More than 60,000 British troops were killed or wounded, nearly twice the number of German casualties. Blame for the losses was placed firmly with the British High Command. Two months after the battle the command of the British Expeditionary Forces passed from Field Marshal Sir John French to Field Marshal Sir Douglas Haig. Extract from Gassed by John S Sargent, 1919. The scene is the aftermath of a mustard gas attack on the Western Front in August 1918 as witnessed by the artist. British gas floated back to British lines, causing casualties and confusion. Not surprisingly, Loos, in which 45 Scottish battalions took part, was deemed a failure. Loos is also remembered for Britain’s first use of poison gas. Some 150 tons of chlorine gas was released from cylinders and the wind carried it towards the German lines over a four-mile front. German troops initially abandoned advanced positions and 600 of them succumbed to the gas. Unfortunately its use added to British losses when gas also floated back to British lines, causing casualties and confusion. But when the Allies failed to move reserves into the line, the Germans regrouped and halted the British advance. 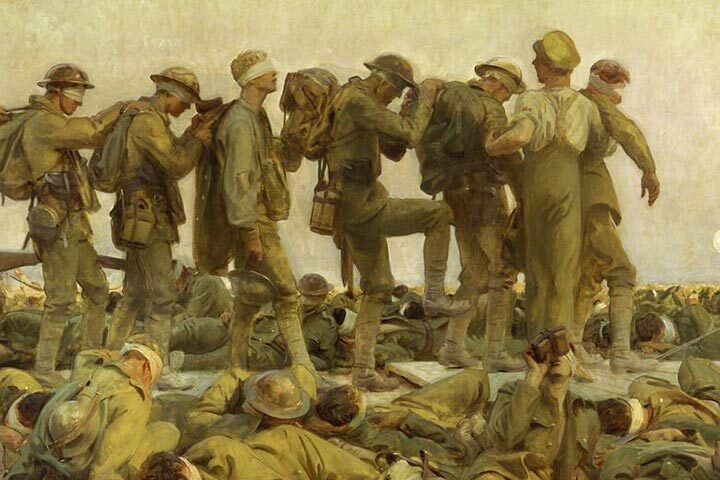 The devastating use of gas is recalled in the famous painting ‘Gassed’ by John Singer Sargent. Sargent witnessed the aftermath of a German barrage on 21 August 1918, at Le Bac-du-Sud in which mustard gas had been used against the advancing British Army, during the Second Battle of Arras of 1918. The painting was voted picture of the year, 1919, by the Royal Academy of Arts and now hangs in the Imperial War Museum. Loos was also the battle in which the Royal Flying Corps – still three years away from becoming the RAF – gave for the first time accurate information on artillery targets, thus saving thousands of costly shells. C. S. M. Thomas Bowman was awarded the Military Cross for his part in the Battle of Loos. 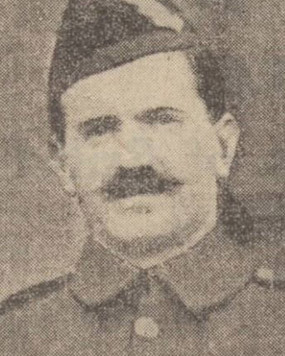 Dundee man, Company-Sergeant-Major Thomas Bowman, of the Black Watch, was awarded the Military Cross for services rendered in the field during the Battle of Loos. This was his second war decoration having previous gained the Distinguished Conduct Medal for conspicuous gallantry at Neuve Chapelle, where his regiment played a prominent part. C.S.M. Bowman was a keen army man having been in the Territorials since their inauguration, and previous to that he saw considerable service with the Volunteer Battalion Royal Highlanders. He was at the front from February, 1915, and was wounded at Neuve Chapelle. Prior to the outbreak of war C.S.M. Bowman was employed by the Dundee printing company Valentine & Sons Ltd. 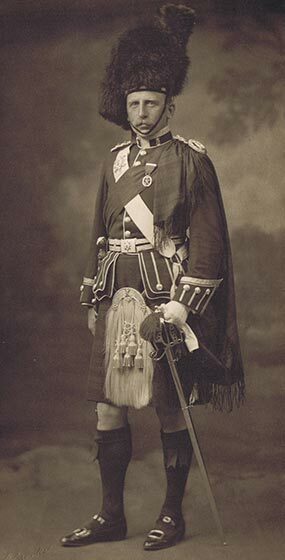 Bowman survived the war as one of Dundee’s most decorated soldiers. Not since Culloden had so many Scottish soldiers been in the field at the same time. When Dundee’s Own the 4th Battalion arrived in France in February 1915 the strength was 900. By the time the order came to go ‘over the top’ at Loos its numbers had already fallen to just 423 fighting men. Exposed as soon as they mounted the parapet, the beleaguered 4th suffered horrific losses. Out of 20 officers 19 were killed or wounded and 230 of the 420 men who took part in the attack were killed or wounded. They had advanced too far too fast and were an easy target for machine gunners. The losses had a profound effect on the city. Hardly a household was unaffected by the loss, not a family left untouched by the men’s sacrifice. Dundee’s Own – the fathers, sons, friends and workmates in the 4th – was so reduced by the Loos it had to be amalgamated with the 5th. Today, the Loos Memorial and Cemetery commemorates all the lost from the battle, including 20,000 men with no known grave. Each year in Dundee on September 25 the beacon at the top of the city’s war memorial on The Law shines to remember the battalion’s heroic dead. Picture credits: Lt Col Harry Walker... courtesy of The Black Watch Museum. Company Sergeant Major Thomas Bowman... courtesy of D.C. Thomson & Co Ltd. Gassed by John Singer... courtesy of Imperial War Museum © Crown Copyright. IWM.